Deer Creek Vineyards consistently produces premium, award-winning wines. 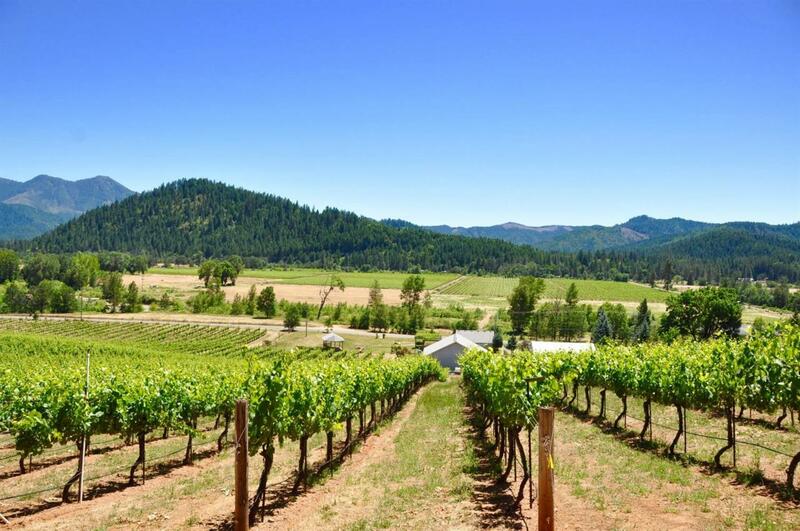 Located in the Illinois Valley, Deer Creek's estate vineyards rest in Southern Oregon's Rogue Valley Appellation. With strong brand recognition the 40+ acre mature vineyard's current level of production stands at a sustainable 120+ tons, which translate to production potential of 8,000+ cases. With direct consumer wine sales from the well-loved tasting room, wholesale wine sales, event venue, & room for expansion, this vineyard estate is ideal as a family business or an addition to a corporate brand. The property is comprised of 70+ rolling acres, year round creek, and spring-fed ponds, with vineyard and mountain views in every direction. The estate includes two homes, large shop, tasting room, wine production building, barrel storage, potential spring-water bottling business. Additional acreage available separately.